Kevin Durant’s free agency options are plentiful, and he is ready for impending free agency. The Oklahoma City Thunder superstar has scheduled many free agent meetings, with each team piecing together their sales pitches for the 27-year-old superstar. RealGM broke down KD’s full schedule, which features the MVP giving his old team, OKC, the first crack at an opening conversation. Durant and the Thunder will reportedly meet on June 30, one day before free agency officially begins. Next up is a meeting with the Golden State Warriors in New York on July 1. Then, he’ll sit down with the San Antonio Spurs, Miami Heat, Boston Celtics, and Los Angeles Clippers throughout the first few days of July. The Spurs are set to meet with KD on July 2, and the Heat will meet with him the next day. This sounds like an overwhelming process, but one that will feature a massive push by each team to land the star. Let’s discuss Durant’s free agency options, ranking the teams from least to most likely to sign him. When FOX Sports broke down the odds of each team to land Durant, the Clippers were one of the biggest underdogs at +5000. It’s hard to disagree. While Los Angeles has plenty of talent to intrigue Durant, we can’t really see this one happening. Durant’s future likely remains with a team that’s been right on the fringe of a title, whether it’s with the Thunder, Warriors, or Spurs. The Clippers are a great team, but we don’t believe any connections he has to the team are going to help propel them to frontrunner status during this free agency period. 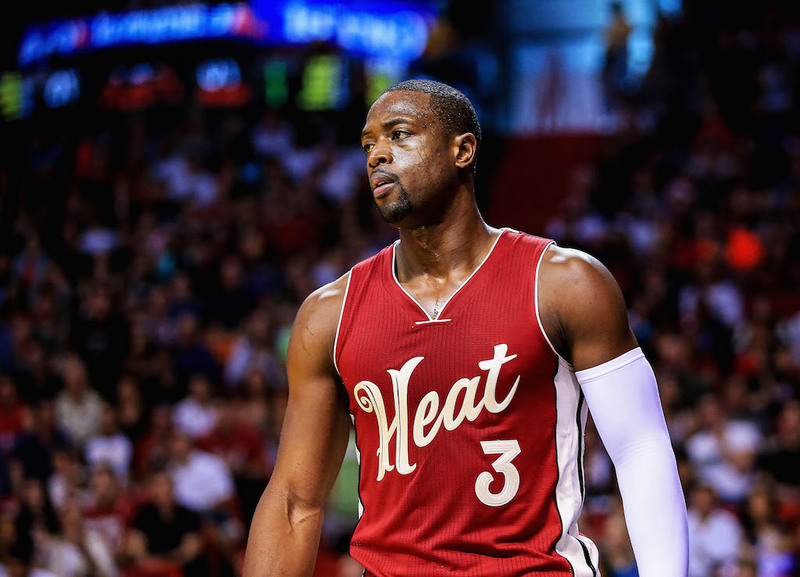 Dwyane Wade’s future in Miami isn’t even locked in, so honestly, there’s not a lot about the Heat that probably makes Durant want to jump from Oklahoma City. Hassan Whiteside is a free agent and may not be with the team either. The only real reason why we’re giving the Heat a fighting chance is due to the fact that Pat Riley is a pretty persistent guy; he can be good at convincing others. But don’t get your hopes up too much, Miami. The Celtics need a big man. Yes, adding Durant would be unbelievably great for this franchise, and we’d love to see him playing in that beautiful green, but it’s a long shot. 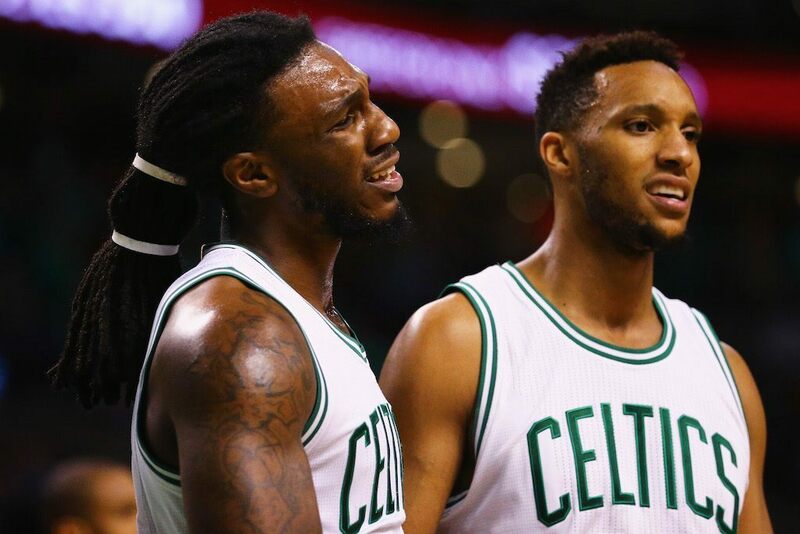 The realistic offseason acquisition for the Celtics is someone like Al Horford, Dwight Howard, or possibly Whiteside. The chances of Durant coming to town are small — nearly the same as Miami — but we won’t mark it as completely out of the question. This team has a legitimate chance of landing KD. 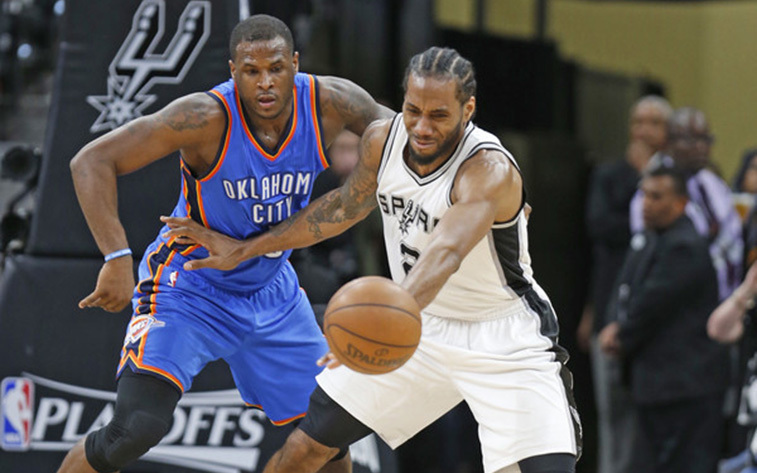 The Spurs have competed with the Warriors and Thunder for as long as we can remember. Gregg Popovich is a huge selling point, as is playing with Kawhi Leonard and LaMarcus Aldridge. If the Spurs can really woo Durant, don’t be shocked to see him paired up with those two big names in 2017 and beyond. This trio would be great to watch. If Durant goes anywhere — aside from remaining in Oklahoma City — it’s hard not to imagine that it could be the Warriors. 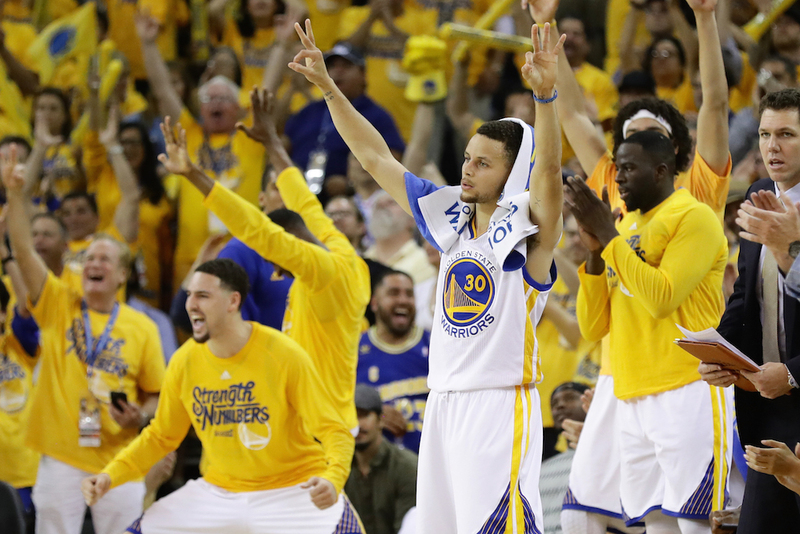 A young, core group of players, with stars like Stephen Curry, Klay Thompson, and Draymond Green, could be a big selling point. More importantly, the Warriors won the championship last year and finished as the runner-ups in 2016. Durant would all but guarantee that the Warriors are back in the finals next season, potentially locking them into a championship victory as well. The one question is, would having Durant create too many mouths to feed on one team? If we’re being honest, the Thunder are by far the odds-on favorite to keep Durant in town. He was a fan of the team’s draft trade, which brought Victor Oladipo to town from the Orlando Magic. As Durant stated, Oladipo is a “good buddy” of his, according to USA TODAY’s AJ Neuharth-Keusch. Oklahoma City has become Durant’s home; the fans have been nothing but loyal and loving toward him, while his relationship with point guard Russell Westbrook seems to improve on a yearly basis. The Thunder were one win away from the NBA Finals last season, so there may be some unfinished business there for Durant. 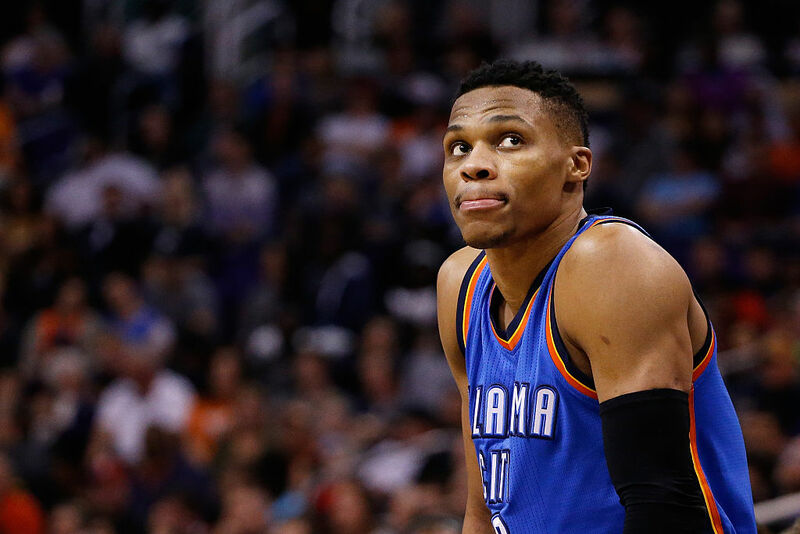 If he returns to Oklahoma City, there’s reason to believe that they can finally win the championship in 2017.